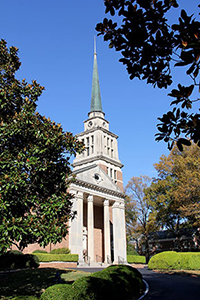 The carillon at First Presbyterian Church was built in 1953 by the members of First Presbyterian Church and the citizens of Jackson and Madison County in honor of the men and women who served their country in the two world conflicts, 1914-1918 and 1940-1945. The carillon consists of 47 bronze bells made by the Paccard & Fils foundry in Annecy, France. The bells were built between 1944 and 1948. 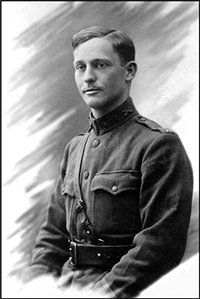 Tennesseans of WWI - 100 Years Later - Morris, A. J. 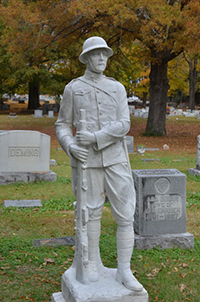 2015 "Tennesseans of WWI - 100 Years Later." The Jackson Sun. September 23, 2015. 'White House' Holds History at Jackson Church - Morris, Dan. 2015. "'White House' Holds History at Jackson Church." The Jackson Sun. October 3, 2015.